Governments are promoting biofuels and the resulting changes in land use and crop reallocation to biofuels production have raised concerns about impacts on environment and food security. The promotion of biofuels has also been questioned based on suggested marginal contribution to greenhouse gas emissions reduction, partly due to induced land use change causing greenhouse gas emissions. This study reports how the expansion of sugarcane in Brazil during 1996–2006 affected indicators for environment, land use and economy. The results indicate that sugarcane expansion did not in general contribute to direct deforestation in the traditional agricultural region where most of the expansion took place. The amount of forests on farmland in this area is below the minimum stated in law and the situation did not change over the studied period. Sugarcane expansion resulted in a significant reduction of pastures and cattle heads and higher economic growth than in neighboring areas. It could not be established to what extent the discontinuation of cattle production induced expansion of pastures in other areas, possibly leading to indirect deforestation. However, the results indicate that a possible migration of the cattle production reached further than the neighboring of expansion regions. 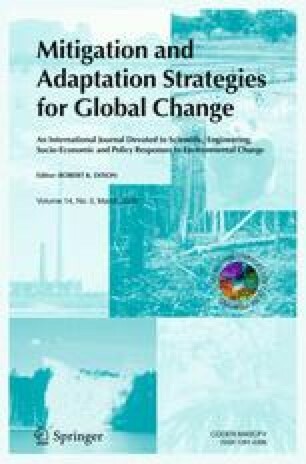 Occurring at much smaller rates, expansion of sugarcane in regions such as the Amazon and the Northeast region was related to direct deforestation and competition with food crops, and appear not to have induced economic growth. These regions are not expected to experience substantial increases of sugarcane in the near future, but mitigating measures are warranted. Financial support from the Swedish Energy Agency and the Brazilian Ministry of Agrarian Development is gratefully acknowledged. In this step municipalities with none comparable areas in the period of 1996 to 2006 (NoComparableArea meaning a difference of area >5%), usually because of municipal divisions, were excluded from the analysis. No expansion municipalities with sugarcane representing more than 33% of the municipal area in 2006 were also excluded from the ScNoEx group. The rationale is, that if sugarcane is hegemonic, occupying extensive areas of the municipality, no LUCC change effect can be detected because the entire dynamic of the municipality is since long related to sugarcane production. Also, all ScNoEx municipalities not adjacent to a ScEx were removed, to control for regional differences effects on the variables. These criteria resulted in 143 ScEx and 419 ScNoEx. These criteria were necessary to remove municipalities with predominant urban, metropolitan and regional center dynamics, which contrast with the rural character of most municipalities of ScEx and ScNoEx, and could thus bias the values of several variables. The application of these criteria resulted in 136 ScEx and 407 ScNoEx, (keeping 93% and 97% of the original ScEx and ScNoEx groups remaining after the above described validation routines (Eq 1). The aim of these procedures was to exclude from the census and PAM database records with inconsistent values considering the obvious impossibility of true values for Eq 2 and Eq 3. Of 6,516 possible values in the database, if all values for all variables were false for Eq 2 and Eq 3, 97 were excluded (true values fro Eq 2 and Eq 3), representing an exclusion of 1.5% of the variables. The variables mean values presented for CEA and PEA were not meaningfully affected by the outliers and inconsistency eliminations, but the probabilities of the means test were reduced. Data elimination was not only effective to exclude areas that a priori were not comparable, but also produced a data universe with less internal variance (as indicated by the improvement in the probability of mean differences), even considering the exclusion of only a small amount of values. IBGE (2008a). Censo Agropecuário 1995/96. http://www.sidra.ibge.gov.br. Cited 15 May 2008. IBGE (2008b). Censo Agropecuário 2006. http://www.sidra.ibge.gov.br. Cited 15 May 2008. IBGE (2008c). Produção Agrícola Municipal (PAM). http://www.sidra.ibge.gov.br. Cited 15 May 2008. IBGE (2008d). Pesquisa da Pecuária Municipal (PPM). http://www.sidra.ibge.gov.br. Cited 15 May 2008. Ipeadata (2008). http://www.ipeadata.gov.br. Cited 15 May 2008.